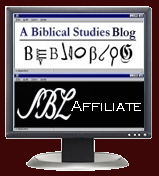 I've been trying to compile a list of resources that I think my seminary students--but it would apply to anyone serious about Bible study--need most if they want to study the Bible using the original languages but whose native language is English. My assumptions here are that people need a variety of resources to conduct Bible study for preaching, teaching, self-edification, reflection, and devotion. At the seminary where I teach (LTSG), about a year's worth of Greek is required. Hebrew is not required but is encouraged as an elective. I am assuming some facility with Greek, therefore, but I am not assuming that people will be 'fluent' in Hebrew or even Greek. I do assume that with the proper resources they will be able to make use of both. I am also assuming here that English is the primary, native language, and so the secondary resources and translations I highlight are English ones. Diogenes is an excellent choice. For the LSJ lexicon, I use it instead of Perseus. From what I remember, Perseus transliterates the Greek, which is really annoying. But with the Diogenes app, everything is in Unicode. You can also search inflected words -- it will parse/decline the word for you, but you must type the word entry with all the necessary breathing marks and accents. I just checked Diogenes, Jeremy. Thanks for pointing it out. Before I try to download/install it, however, can you tell me if you have to have the TLG or PHI data to use it. No you don't. It's with the software but beware it's 64 mb. Wow. Thanks a lot. Great resource. 'The Anchor Bible Dictionary, ed. David Noel Freidman' - 'Freidman' should be 'Freedman'. Thanks, Joel. I had the privilege of having supper with Freedman a year or so before he died. What a fun and fascinating person he was!